It's a brave move to title an album like so with all the connotations that word has in the realms of metal. From DREAM THEATER to CANDLEMASS to MAYHEM and countless other less notables, many have strived to attain it and achieved it to varying degrees, whilst others have slopped forth a real mess of over-ambition and pretentious clutter. These cult Norwegians have, to be fair, partially conquered the dizzy heights here — but then you'd probably expect them to get somewhere near it after eight years of immersing themselves into the more in-depth genre of post-black metal. Indeed, BORKNAGAR are very much post-that these days, and despite the fact that the band line-up has been almost entirely stripped out and reformed (only original guitarist Øystein G. Brun remains, with him recently drafting in VINTERSORG's Vintersorg and Asgeir Mickelson on vocals and bass/drums respectively, plus SOLEFALD's Lars A. Nedland on synths), the vision is fairly strong on "Epic" in terms of developing atmospherics and further exploring those olde worlde Scandinavian flavors. All this considered, it is perhaps surprising to see a fair number of traditional blastbeats hammering away in the midst of things. Maybe it's to be expected that excellent opener "Future Reminiscence" goes hell-for-leather for the purposes of easing the listener into the more ethereal swing of things. But after a mid-album deep descent into haunting synth territory, "Cyclus" and "Quintessence" surprisingly pick up the pace again — the second of these arguably showing more traditional black metal moves than BORKNAGAR have for some time. When backing off the gas, BORKNAGAR continue to enchant the listener for the most part. Instrumental "The Weight Of Wind" is a perfectly poised interlude of piano-led prog, while Vintersorg and Nedland really show the benefit of their journeyman experience on the enchanting "Relate (Dialogue)". Think of this track as MARILLION serenading you from the frozen northern wastes, with Vintersorg's voice swooping and soaring quite impressively. 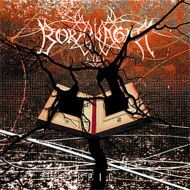 In fact, BORKNAGAR's only crime on "Epic" is their reluctance to dispense with the ordinary and some material that, for want of a better phrase, verges on the comedy-Viking. It's a close thing to call, but maybe "Resonance", with its overbearing synth parping, brings forth visions of a tourist with a horned helmet on — not strictly the desired effect, you feel. "Sealed Chambers Of Electricity" just doesn't possess the depth of that which surrounds it, and "Origin" simply stays around for too long considering its lesser textural depth. Not perfect then, but it must be conceded that putting such a sprawling album together with such a relatively new line-up must've been no mean feat. Epic? Certainly. But flawed also.